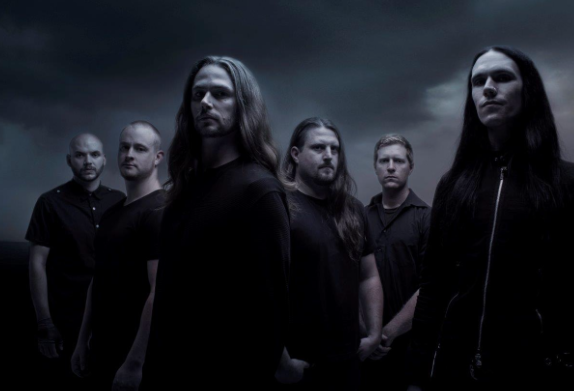 Late 2014, Melbourne 6 piece Ne Obliviscaris returned with another hauntingly beautiful and powerful Album Citadel. With an eclectic mix of influences such as; Metal, Classical, Progressive and Flamenco to just name the most prominent, Citadel forces the listener to rethink their paradigm of metal music. ‘Painters of the tempest Part 1 – Wyrmholes' builds the foundation for the remaining 2 parts of the opening track. Powerfully subtle violins set the tone for the rest of the album, before descending into ‘Part 2 – Triptych Lux’ which really brings the dynamic range of styles to the forefront. Technically brilliant in every instrument across the band, ‘Triptych Lux’ sets the bar fairly high for the rest of the album. Complicated harmonies and melodies from Tim Charles’ violins and clean vocals, blend perfectly with the brutal speed and raw power of Daniel Presland’s surgically precise pounding drums. One of three tracks on the album where the entire band is credited as a songwriter, at some point during the 16min arrangement of movements (movement 1: creator, movement 2: cynosure, movement 3: curator) every member has a spot to shine. French lead guitarist Benjamin Baret, and rhythm guitarist Matt Klavins provide riff after riff driving the movement, but not without giving some breathing (see: recovery) room for Cygnus (Brendan Brown) to lay down some driving finger-tapped breakdowns. ‘Part 3 – Reveries from the Stained Glass Womb’ brings it back tying it to the opening track, whilst again making the listener think about what they are listening to. Is it Flamenco/Spanish? Is it classical? Is it metal? The answer of course, to all three is yes. It is all of these and more. ‘Pyrrhic’ at just under 10min isn’t your usual “made-for-radio” tune, in more ways than one. Somewhat rare for a death metal influenced band to have a hook or chorus, ‘Pyrrhic’ delivers this perfectly. Lead singer Xenoyr’s (Marc Cambell) growled vocals really take the album to another level on this track. With a back and forth vocal exchange between the two extremely talented singers, it’s hard to imagine on first listening of the album, how they will top the majesty and emotion this song evokes. The last track ‘Devour Me, Colossus’ continues the melodic metal assault and is split into two movements, again travelling the sonic range of classical melody through to metal. ‘Part 1- Blackholes’ continues the beautiful swings through musical genres, and ‘Part 2- Contortions’ works as a bookend of sorts tying it to the opening track. About to embark on numerous world tour dates made possible by an Australian record breaking crowd funded effort of $86,000 and some change, and just coming off their successful shows at soundwave festival, Ne Obliviscaris are set to take Citadel and their awesome live show to some of the biggest stages around the world.